These earrings are handcrafted in Newfoundland and Labrador, and made from the balance bones from a Codfish. These bones tell the life story of the Cod the same way that rings of a tree show their life story. 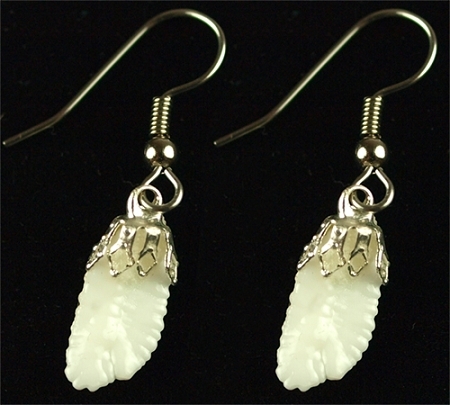 All earrings are made from with the bones from the same fish, guarenteed.